Supplements can offer a variety of benefits for PCOS including improving insulin resistance, lowering testosterone, regulating periods, improving egg quality, stimulating hair growth, and improving sleep and mood. Supplements are a wonderful addition to a healthy lifestyle. But did you know that there is a science behind taking supplements? Yes, to obtain maximum benefits from supplements there is a correct way to take your vitamins. Let’s look at the important factors you should know and time out when and how you should take these little powerhouses. Sign up with your email address to receive secret strategies I use to manage my PCOS. 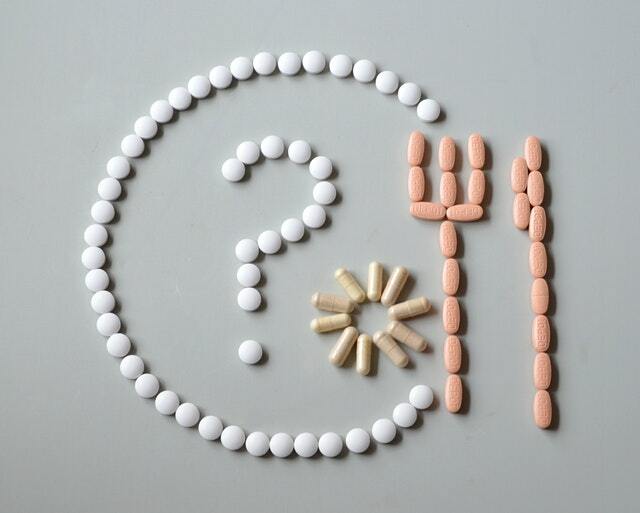 Let’s talk about the two types of vitamins or supplements. The first type is fat-soluble vitamins. Fat-soluble vitamins dissolve in fat and oils and are stored in fat throughout the body. The body has a hard time excreting any excess fat-soluble vitamins, so it is critical to not take more than you need. There is only so much your body can absorb at any given time. For fat-soluble vitamins to be absorbed they must be taken with food. Not taking them with food is a common mistake that people make. Vitamins that are fat-soluble are vitamins D, E, A, and K.
The other type of vitamins is water-soluble. Water-soluble vitamins dissolve in water and whatever the body doesn’t need is then excreted by the kidneys. Water-soluble vitamins are best absorbed on an empty stomach. But what exactly constitutes an empty stomach? They best way to take them on an empty stomach would be 30 minutes prior to eating, or two hours after a meal. Some vitamins that are examples of water-soluble vitamins are the B complex vitamins (this includes folate and folic acid) and vitamin C.
Want to know what supplements I Recommend? Check out my Favorites! Now let’s talk about another important component to achieve maximum benefit from your PCOS supplements. Supplements should be taken in divided doses. What does this mean? Spreading out your supplements and taking them throughout the course of the day is better for absorption than taking them all at once. Remember you want to be able to absorb as much as possible for optimal effectiveness. And we now also know that some supplements should be taken with food, some on an empty stomach. Another key to getting the maximum benefits from your PCOS supplements is to understand and be educated about the type of supplement you are taking. Because some supplements work best when paired together like Vitamin C and iron and some should not be combined like calcium and iron. I saved the most important point for last! When taking supplements is critical to be aware of any possible interactions between your vitamins and prescription drugs you take. It is always best to discuss the supplements you take or are planning to take with your doctor. Certain medications can have interactions with supplements. Change can start today! Get started with my free email series and learn the tricks and tips you can use to jump start your weight loss journey. I know this sounds complicated and to be honest it can be in the beginning. Understanding the reasoning behind why and how you take certain supplements will help you remember to take them correctly. Now that you have all the background information you need, I will make it easy for you and tell you when the best time is to take these supplements. Below are some of the common PCOS supplements that women take and have questions about as well as some that are important for women’s health. You may take some or maybe you want to start. I recommend you read a previous post I wrote about the 7 Best supplements for PCOS to understand the benefits that these supplements can offer you. Split calcium into two doses. It helps increase absorption. Take it with your daily vitamin D to increase its absorption. Take your second dose in the evening with magnesium and this can help relax your muscles and lead to better quality sleep. Most multi-vitamins are recommended to be taken with food because some vitamins and minerals can cause mild stomach upset. Vitamin D is fat-soluble, so it should be taken with food. Also, it is best paired with calcium because it increases the absorption of calcium. Most probiotic supplements are best taken before eating, when your stomach is less active. Omega-3’s can cause nausea and abdominal discomfort when taken on an empty stomach. It is best to take them with a full meal. I recommend taking these with lunch, your stomach is less likely to be sensitive at this time. A lot of people dislike fish oils for this reason. There is a way around this. You can take plant-based Omega-3’s so I don’t have that fishy after-taste. B vitamins are water-soluble. So, you can only absorb so much at a time. It is best to split your dose up. B vitamins are supposed to help with energy levels, so you might want to take one in the morning and the other at lunch to keep your energy levels up during the day. Inositols such as myo and d-chiro inositol are best taken with food. The 40:1 ratio of myo to d-chiro is the best form to take. Theralogix is the only company that offers this combination in a supplement. The name of their inositol is called Ovasitol and it should be taken with your breakfast and dinner. Interested in trying Ovasitol to improve your insulin sensitivity? USE PROVIDER REFERRAL CODE (PRC) 206109 to get a discount. Magnesium works best when it is paired with vitamin D because magnesium aids in the metabolism of vitamin D. Every woman should be taking Magnesium for PCOS. NAC should be taken on an empty stomach to avoid competing with protein for absorption. It is important to note that if you are on thyroid medications you need to make sure you do not take iron, antacids, magnesium or calcium within 4 hours before or after taking your medication. As you can see, there is more to it than just popping your pills. There is a science to taking your supplements in order to achieve maximum benefits. Bookmark this page for reference and share it with your loved ones.